The moment our world went online and enterprises started conducting their businesses using websites, they became the primary targets for hackers. The situation worsened with the emergence of Content Management System(s) (CMS) – like WordPress, Joomla, Drupal etc., – which while offering an easy way to build (as well as customize) websites, left many loopholes for example, plugins) which could be easily exploited by the hacking community. A survey conducted only last year reveals that more than 50 thousand websites get hacked almost every day. That’s a huge number! And an alarming sign for e-businesses. While e-businesses certainly cannot stop using various content management systems to build their business websites (because the benefits they offer are just too much to be ignored and build a website from scratch involves too much work), these businesses can certainly keep hackers at bay by employing the right website vulnerability scanning tools. A website vulnerability scanning tool scans websites at regular intervals and checks for any suspicious activity. The moment it comes across anything suspicious, it raises the appropriate alerts and brings the issue to the attention of the security experts, so that they can investigate and resolve it without affecting your business. Simply put, it is a malware-removal tool which can remove malware that is trying to affect – or is already hiding – in your business website. Selecting the right website vulnerability scanning tool can be a daunting task because the internet is loaded with many such tools. Because of this, to make things easier for e-businesses like you, we decided to conduct a survey and came up with what we believe to be the top 5 website vulnerability scanning tools available online. But before we go ahead and divulge the results, we’d like to give a brief account of the factors on the basis of which this survey was conducted. Because we want you to know why we chose what we chose. 1. Ease of Use: No matter how effective a software might be, it can be used to the fullest only if it is easy to use. Therefore this was our topmost consideration. 2. Threat Detection and Response: A lot of emphasis was placed on threat detection and response. Because, after all, website vulnerability scanning tool are threat detection and response tools. The speed of detection alone was not the sole factor. How efficiently the tool responded to the discovered threat was also taken into account. 3. Extensive Reporting Capabilities: Extensive reporting plays a crucial role when it comes to website vulnerability scanning. Therefore we checked how good these scanning tools were when it comes to reporting. Because the right kind of reporting can benefit businesses a lot, apart from reducing unnecessary false positives. 4. Minimal Impact on Business Productivity: Website scanning tools are supposed to secure your business and improve it, not hinder its growth by presenting various complexities. Therefore the last factor we took into account was the impact these scanning tools have on business productivity. 1. Comodo cWatch: This website vulnerability scanning tool tops our list with its advanced security features that make malware detection and removal an easy task. It satisfied all of the factors we took into consideration: ease of use, threat detection and response, extensive reporting capabilities and minimal impact on business productivity. 2. Sucuri: This website vulnerability scanning tool made a name for itself in the market by exposing a number of WordPress vulnerabilities. Therefore it’s reliable and placed second in our list. 3. WPScans: This website security tool has a huge vulnerability database which contains over 4000 reported vulnerabilities. It’s an indication that the security tool is really effective. Therefore is placed third on our list. 4. WordPress Security Scan: WordPress sites being the most affecting by hacking, it’s not surprising at all that WordPress Security Scan by HackerTarget.com finds a place in our list. 5. Quttera: This security tool protects thousands of websites spread over 32 countries. Its huge clientele is indeed a sign of dependability. Therefore occupies 5th position in our list. 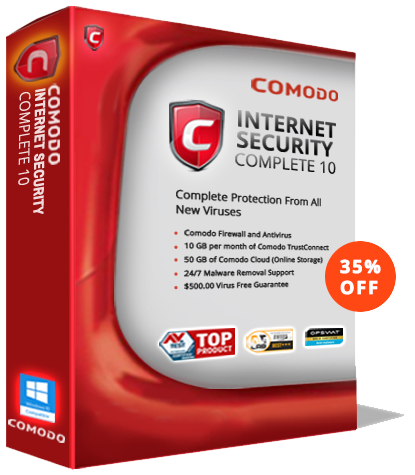 Why Did We Gave Comodo cWatch The Number 1 Spot? If you look at the list we’ve created, you’ll realize that Comodo cWatch is the only website vulnerability scanning tool which is not available for free. And yet we gave it the number 1 spot. The reason? It is one of the few PCI compliant website vulnerability scanning tools out there in the market. Complying with PCI guidelines is extremely important for e-businesses. And what better way for them to do this than implementing a PCI-compliant website vulnerability scanning tool? Therefore although Comodo cWatch is not available for free, it’s definitely one of the best website security tools out there. And it’s certainly for those serious-minded e- businesses which don’t want to be affected by various website security threats.